After a popular uprising forced Burkina Faso’s longtime dictator Blaise Compaoré from power after a 27-year long reign supported by the United States and France, President Barack Obama had to move fast. The White House wanted to ensure that loyalists of Compaoré’s assassinated predecessor, Marxist icon Thomas Sankara, a man his mother, U.S. Agency for International Development (USAID) / Central Intelligence Agency (CIA) maven Ann Dunham Soetoro, may have helped to topple in 1987, did not return to power in the landlocked West African nation. The U.S. Africa Command (AFRICOM), headquartered in Stuttgart, rapidly went into action and ensured that the Burkinabe military appointed Lieutenant Colonel Isaac Zida as the «interim» president of Burkina Faso. Obama, CIA director John O. Brennan, and AFRICOM were worried that the major opposition party, Union for Rebirth / Sankarist Movement (UNIR/MS) would not form a new government. The UNIR/MS leader, Bénéwendé Stanislas Sankara, a relative of the late Thomas Sankara and attorney for the Sankara family, stood a very good chance of becoming Burkina Faso’s new president. However, Zida, a graduate of the U.S. Joint Special Operations University at MacDill Air Force Base in Tampa, Florida and an AFRICOM military intelligence course held in Botswana, was quickly moved in by the Obama administration to replace Compaoré, who fled to neighboring Côte d’Ivoire. The Ivorian president, Alassane Ouatarra, whose mother was born in Burkina Faso, is considered to be a virtual puppet of the World Bank, the Pentagon, and Israel. Burkina Faso, under Obama’s friend Compaoré, permitted the establishment of a U.S. drone base in the country, a classified operation code-named CREEK SAND, and a classified regional intelligence fusion center attached to the U.S. embassy, code-named AZTEC ARCHER. While assigned to one of her nebulous intelligence-like non-official cover (NOC) jobs with the World Bank, Obama’s French-speaking mother was working in Ghana at the time that Sankara, who modeled himself as an African version of the Cuban revolutionary leader Ché Guevara and pulled Burkina Faso out from World Bank tutelage, was assassinated by Army Captain Compaoré and his rebel military officers. Compaoré ordered Sankara’s body dismembered and buried in an unmarked grave. Compaoré reversed all of Sankara’s policies, centered on the former French colonial backwater that continued to use the colonial name «Upper Volta» striking out on its own with the new name of «Burkina Faso»and nationalizing foreign-owned industries. Compaoré rejoined the World Bank and International Monetary Fund, privatized industries nationalized by Sankara, and moved to restore close relations with France and the United States. Obama’s mother’s presence in Accra during the 1987 Burkinabe coup was similar to her convenient presence in New York City in 1985 while working for the Ford Foundation. In 1985, the CIA decided to launch an operation to overthrow Suriname’s leftist president Desi Bouterse. The CIA enlisted the support of Suriname’s expatriate business community, which largely lived in New York City. Obama’s mother, who spoke Javanese from her time in Indonesia, was able to converse and coordinate anti-Bouterse operations with the Surinamese expatriates, most of whom also spoke Javanese owing to the influx into Suriname of Javanese from the Dutch East Indies during Dutch colonial rule. President Obama has studiously carried his mother’s «baggage» in dealing with countries where she was clandestinely active. He has refused to meet with Bouterse, who returned to Suriname’s presidency in the 2010 election. In 2013, Bouterse’s son Dino Bouterse, while traveling on a diplomatic passport, was arrested by the U.S. Drug Enforcement Administration (DEA) in Panama and was charged in New York on flimsy charges with assisting Hezbollah. Obama has also ordered financial pressure to be applied against Indonesia after the inauguration of Joko Widodo as president. The decline in oil prices, seen as being manufactured by Wall Street, has not only hurt Russia and Iran, but also Indonesia. Jokowi, as he is popularly known, defeated the Indonesian military’s candidate, retired General Prabowo Subianto, after a contested election. Obama, whose mother and Indonesian stepfather, retired Lieutenant Colonel Lolo Soetoro, who, like Burkina Faso’s new dictator Zida, was trained by the U.S. military in the United States, supported the CIA’s 1965 coup against Indonesian President Sukarno. Jokowi was the handpicked candidate of Megawati Sukarnoputri, Sukarno’s daughter and, herself, a former president of Indonesia. With regard to Burkina Faso, Suriname, and Indonesia, Obama and his CIA director, Brennan, ensure that Ann Dunham’s legacy and political baggage are enshrined in U.S. foreign policy. Had the Sankarists returned to power in Ouagadougou, the Burkinabe capital, there would have undoubtedly been score-settling with the United States. 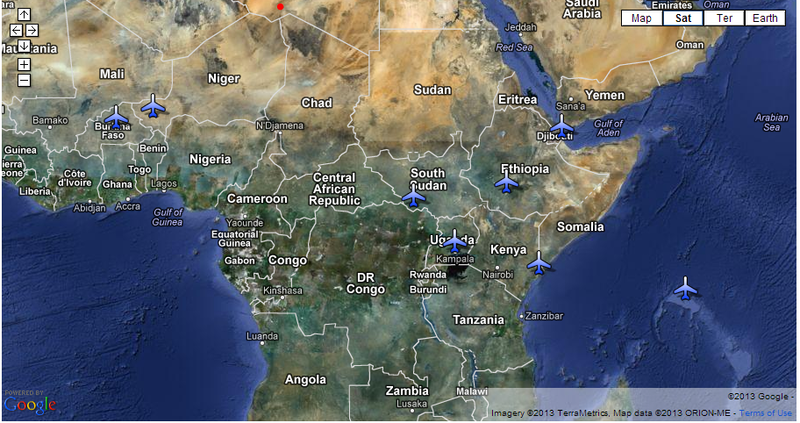 The future of the U.S. Joint Special Operations Air Detachment, which flies drones throughout the Saharan region and is located at Ouagadougou International Airport, could have been in jeopardy, along with the large U.S. military mission and intelligence fusion center attached to the U.S. embassy. Sankara, who also praised Cuba’s Fidel Castro and President Daniel Ortegain Nicaragua, was a major target for the CIA and his Burkinabe political heirs continue to be in Langley’s gun sights. In October 1987, Sankara praised Guevara at a commemoration ceremony honoring the 20th anniversary of the execution of the Cuban revolutionary leader at the hands of a CIAhit squad in Bolivia. 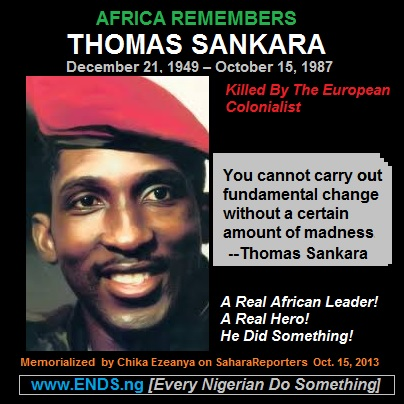 Sankara said, in praise of Guevara’s revolutionary ideals, «revolutionaries can be killed but you cannot kill ideas». Upon making his decision to reject IMF/ World Bank loans and grants, Sankara stated at anews conference, «We must speak in one voice, saying this debt cannot be paid. And since I am the lone voice, I will be assassinated. We must say together, we cannot pay, because we have to work to build a future for our people. If only Burkina Faso refuses to pay, I will not be here at the next conference». Two weeks after making those remarks, on October 15, 1987, Sankara’s second-in-command, Compaoré, who has since been feted on more than one occasion by Obama in the United States, walked into a room where Sankara was sitting and fired two shots into Sankara at point blank range. Sankara slumped in his chair and died. Compaoré had coordinated his coup with the CIAstation at the US embassy in Ouagadougou and the French General Directorate for External Security (DGSE) station at the French embassy. There was also strong suspicion of Mossad involvement in the coup. Gone was the voice of the man who said, «As an army at the service of the revolution, the National Popular Army will have no place for any soldier who looks down on, scorns, or brutalizes his people… this will be a struggle against those who starve the people, the agricultural speculators and capitalists of all types… health care available to everyone… trade with all countries on an equal footing and on the basis of mutual benefit… it fills me with indignation to think of the Palestinians, who an inhuman humanity has decided to replace with another people – a people martyred only yesterday… I wish to also feel close to my comrades of Nicaragua whose harbors are mined, whose villages are bombed, and who, despite everything, face their destiny with courage and clear-headedness… the most pitiful and appalling – yes, the most appalling -record in terms of arrogance, insolence, and incredible stubbornness, is held by a small country in the Middle East, Israel. With the complicity of its powerful protector, the United States – which words cannot describe – Israel has continued to defy the international community for more than twenty years… Ideas do not die». Obama’s and AFRICOM’s installation of Zida as Compaoré’s replacement is to ensure that Sankarists never again quote Guevara, Castro, or Thomas Sankara from the public squares of Burkina Faso.